Labeled an Ambassador of “The New India”, Monica Sharma Dogra is a Maryland raised musician, daughter of Kashmiri immigrants, who grew up listening to Hindu devotional songs, ghazals, and the Bollywood hits of Lata Mangeshkar. After winning a competition at the age of 16, she debuted at Carnegie Hall and then went on to graduate from NYU’s prestigious music performance program – which catapaulted her to appear in the New York Theatre Circuit doing both plays and musicals. She then found herself in India, while recording a solo-project with Andre Bettes in New York City, the producer of Madonna’s Immaculate Collection. It was there she met her music partner Randolph Correia, and formed the band Shaa’ir + func (S+F for short). S+F has been named one of India’s favorite bands by VH1, and played at some of the biggest festivals in the world, such as The Big Chill (UK), MIDEM (France), Glastonbury (UK), OYA (Norway), c/o POP (Germany), Indian Music Fest (Holland). S+F has written and released three albums in 4 short years of being formed. 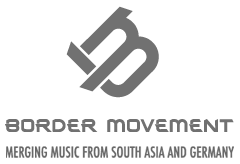 Critics have called them “the undergrounds most promising collaboration” and “the best thing to happen to Indian Rock music”. As a solo artist, Monica Sharma Dogra, whom fans also know as Shaa’ir, is a spoken word performer, an active dancer, as well as an actor. Her newest projects include a lead role in Bejoy Nambiar’s much anticipated film, David, a principle role in Kiran Rao’s directorial debut, “Dhobi Ghat” alongside Aamir Khan, which received 4/5 stars by the Toronto star after premiering at the Toronto International Film Festival, appearing in concert with the legendary AR Rahman, singing the title track for the film “Break Ke Baad” with Vishal/Shekhar, and presenting two seasons of the Cannes nominated TV Series “The Dewarists” which aired on Star World networks in Asia.